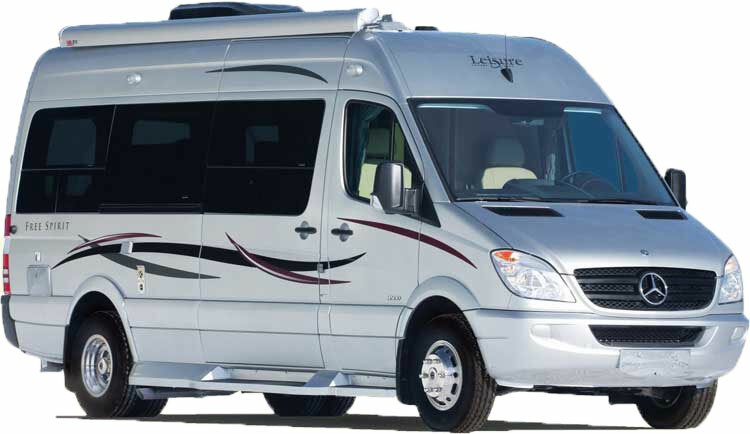 Looking for a Class B motorhome with some serious class? 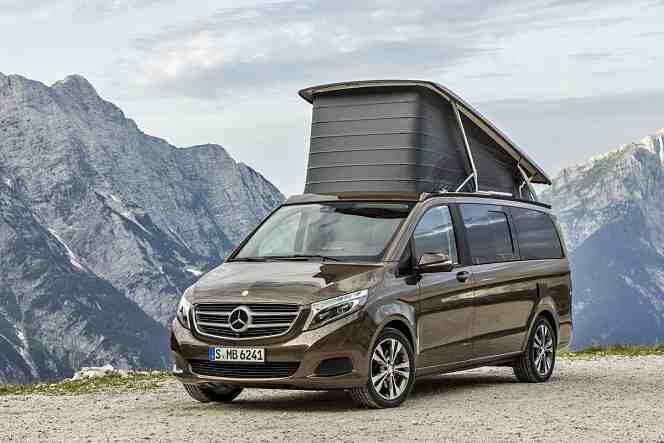 The new line of Mercedes-Benz Camper Vans might be just the RV for you. 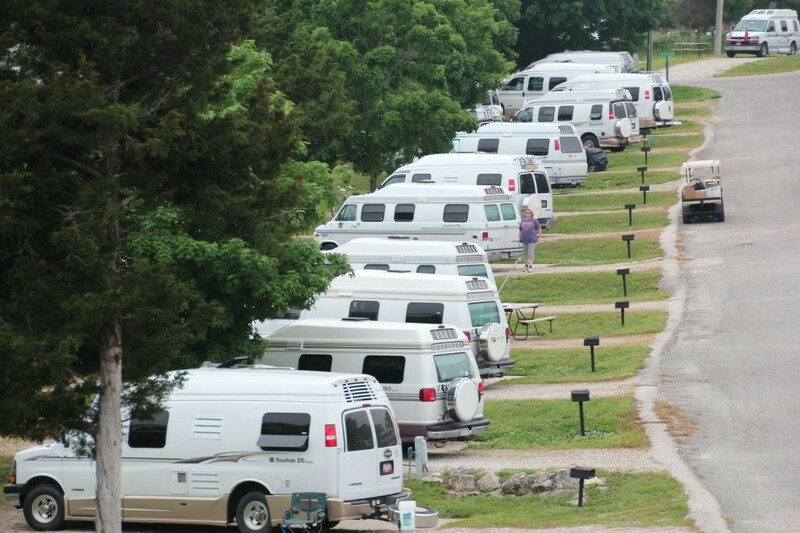 These camper vans have been available in Europe for several years, and are now becoming popular around the US. 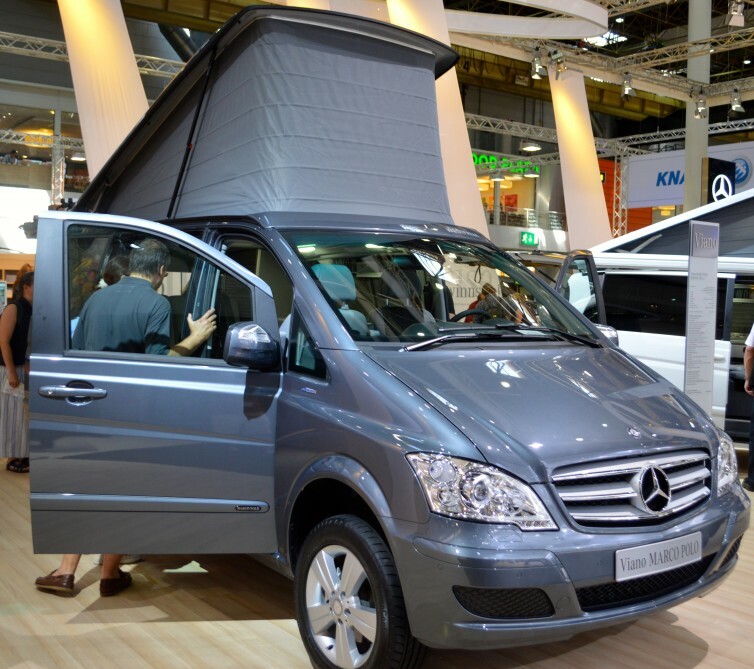 With the demand growing for compact sized, luxury motorhomes, Mercedes is taking the lead. 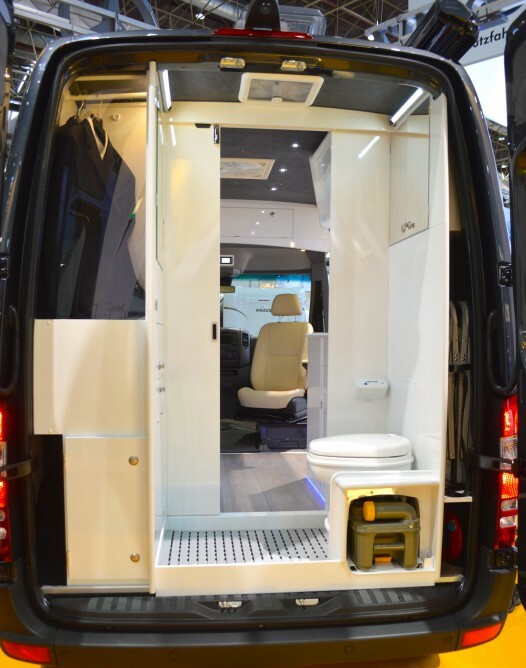 Before we get into specifics of the Mercedes Camper Vans, let take a closer look at the class B Motorhome. 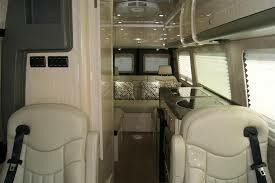 The class B Motorhome is the smallest type of Motorhome. It has limited amenities, but maximum mobility because it can go nearly anywhere. Many class Bs are built using camper vans or cargo vans. In the case of Mercedes, the engine is a Mercedes and the body is a Sprinter or Viano. A class B motorhome has a raised roof making it more comfortable to move around and stand upright than in a traditional van. Class Bs get good gas mileage and can be parked in even the smallest of camping areas. Many people love conversion vans for their stealth camping abilities. This allows them to stay on city streets or other populated areas without anyone suspecting the van is used for camping. Now that we know what a Class B is, let’s take a peek at the Mercedes units. 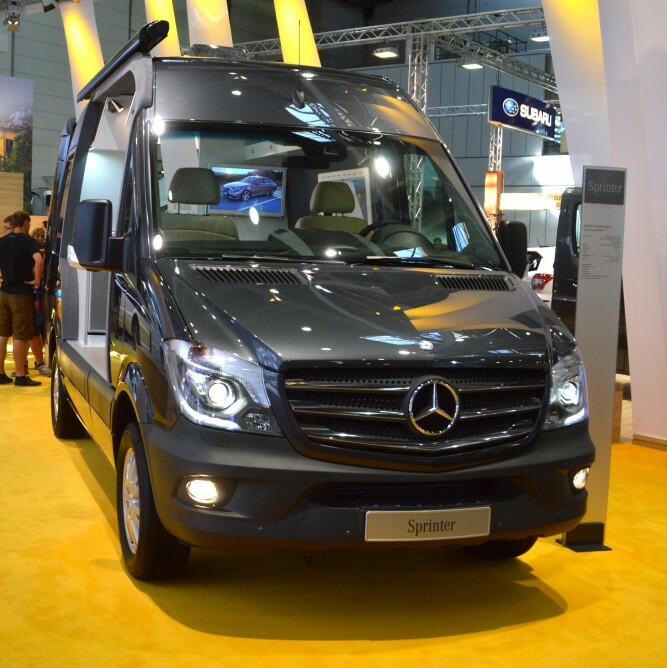 The Mercedes-Benz Sprinter Van has a roomy, clean interior with a bench seat that converts into a double bed. Both the driver and passenger seat swivel to serve as living or dining room seating. 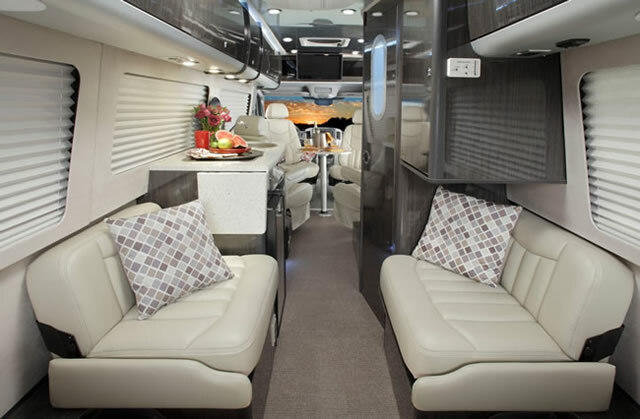 LED lights, an updated kitchen, and laminate floor make the Mercedes feel like a yacht on land. The back of the rig has a bathroom/closet combination. Yup, they thought of everything. This award winning van and now comes with optional 4 by 4 capabilities by special order! 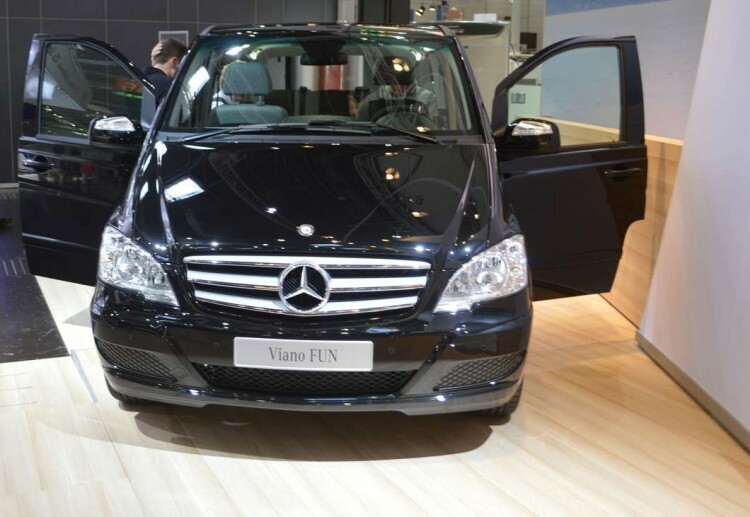 The Viano Fun comes as a five or seven seat van. The rail mounted seates can easily slide into different positions or be taken out all together. When the van is used as a camper the seats fold into a table. The back seat creates a bed. You can also choose the optional pop up roof if you’d like to allow for additional sleepers. Pretty Cool! The Viano Marco Polo is the third of Mercedes class B’s. This was built with the help of Westfalia Van Conversion and offers a middle sized van base with standard pop up roof. There is an amazing kitchenette with stove, sink, fridge and cupboards. 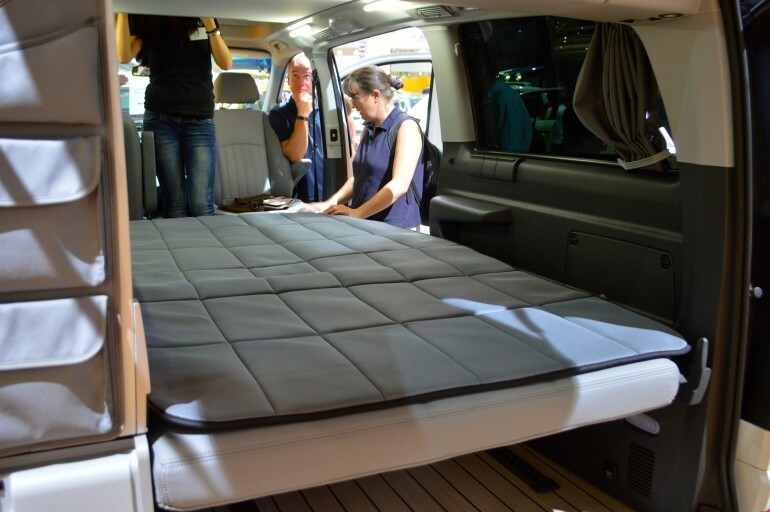 The camper also features electrically adjusted seats which fold as a bed and also has a bolster system that provides better comfort for long drives. Finally, Mercedes sells the HRZ Freedom. This class B is a Sprinter with a high roof, all wheel drive and big mud tires. This go anywhere rig seats up to four with a secured rear bed, large storage, a bathroom and small kitchen. Can’t find the right Mercedes configuration that’s right for you? No problem. Mercedes sends over 4,000 of its vans to various US converters. 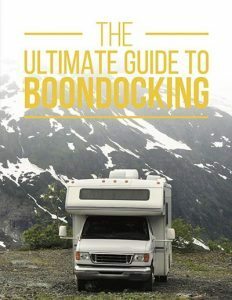 That means there are companies who will custom create the exact camper van you are looking for. There are many Class B manufacturers or conversion companies in North America. 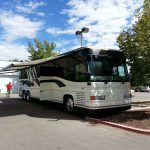 Here are a few you might want to consider if you are in the market for a Class B motorhome. There are many Class B clubs and rallys around the world. Recently the B-Rally met in Ruthfordton, North Carolina for their annual gathering. 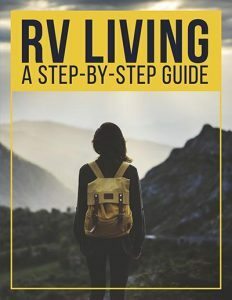 The irv2 online forum offers a helpful Class B thread that is always active and filled with great tips and tricks. These people own Class Bs and have answers to everything from where to get something fixed to how to customize your rig. Want to rent a Class B camper van before you buy one? 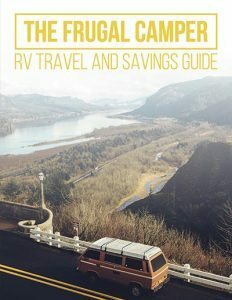 RVShare.com offers many camper vans for rent. Rent one for a week or a weekend and get the feel of the space. You’ll love it or hate it, but at least you will know before you buy! What do you think? Would you buy a Class B camper van? Why or why not? Add your thoughts to the comments below. When you are done, please share this article with your friends. Thanks.